VJ Books Presents Author Jefferson Bass! 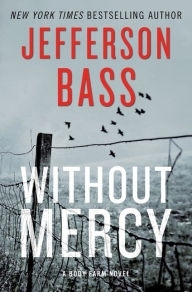 As readers and collectors we are often surprised to learn that our favorite author is actually a writing team, and that is notably true with Jefferson Bass. 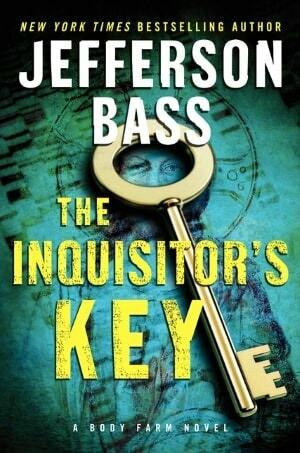 Jefferson Bass is the writing team of the world-renowned forensic anthropologist, Dr. Bill Bass, and the celebrated journalist, Jon Jefferson. Dr. Bass founded the University of Tennessee's Anthropology Research Facility, known as the Body Farm in 1987. The Forensic Anthropology Center has grown into a leading institution for forensic anthropology research and training. Dr. Bass has had published over 200 scientific papers in numerous journals. Jefferson is a writer, and documentary filmmaker. His work has been published in Newsweek, USA Today, the New York Times, and Popular Science and broadcast on NPR. In 2006, Jefferson and Bass published their debut novel, Carved in Bone, to rave reviews. 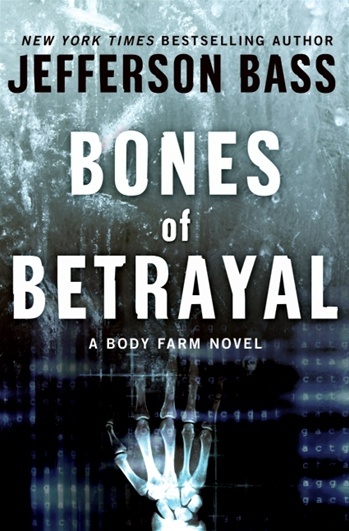 Each following year, Jefferson Bass released another novel in the Body Farm series, including: Flesh and Bone, The Devil's Bones, Bones of Betrayal, The Bone Thief, The Bone Yard, The Inquisitor's Key and Cut to the Bone. Each books features accurate forensic science, helping to increase popular interest in forensic criminal investigations involving human remains. There is a patch of ground in Tennessee dedicated to the science of death, where human remains lie exposed to be studied for their secrets. 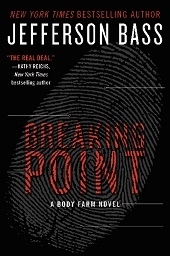 The real-life scientist who founded the "Body Farm," who has broken cold cases and revolutionized forensics, along with the well-known journalist, Jon Jefferson spin astonishing tales inspired by true life experiences. Jefferson Bass - not to be missed! Signed Hardcover Book February 2009 NY: HarperCollins First edition, first printing, mint, new/unread in a flawless dust jacket, signed by both authors. Each dust jacket is protected in an acid-free archival quality acetate cover. Signed Hardcover Book June 2015 NY: HarperCollins First edition, first printing, mint, new/unread in a flawless dust jacket, signed by both authors. Each dust jacket is protected in an acid-free archival quality acetate cover. Signed Hardcover Book June 2015 NY: HarperCollins First edition, first printing, fine in a fine dust jacket, signed by both authors, remainder marked. Each dust jacket is protected in an acid-free archival quality acetate cover. Signed Hardcover Book September 2013 NY: HarperCollins First edition, first printing, mint, new/unread in a flawless dust jacket, signed by both authors. Each dust jacket is protected in an acid-free archival quality acetate cover. Author Signed Hardcover Book January 2007 NY: William Morrow First edition, first printing, fine in a fine dust jacket, signed by both authors, remainder marked. Each dust jacket is protected in an acid-free archival quality acetate cover. Signed Hardcover Book May 2012 NY: HarperCollins First edition, first printing, mint, new/unread in a flawless dust jacket, signed by both authors. Each dust jacket is protected in an acid-free archival quality acetate cover. Author Signed ARC. 2016 NY: William Morrow Advance reading copy, new in pictorial wraps, signed by both authors (slight cover crease). Signed Hardcover Book. October 2016 NY: HarperCollins First edition, first printing, mint, new/unread in a flawless dust jacket, signed by both authors. Each dust jacket is protected in an acid-free archival quality acetate cover. VJ Books Price $37.99 --> What is the value of Double Signed books?